Screen print is the printing of up to 5 colours, graphics and logo designs can be brilliantly reproduced underneath a hard epoxy coating that is designed to last for years. 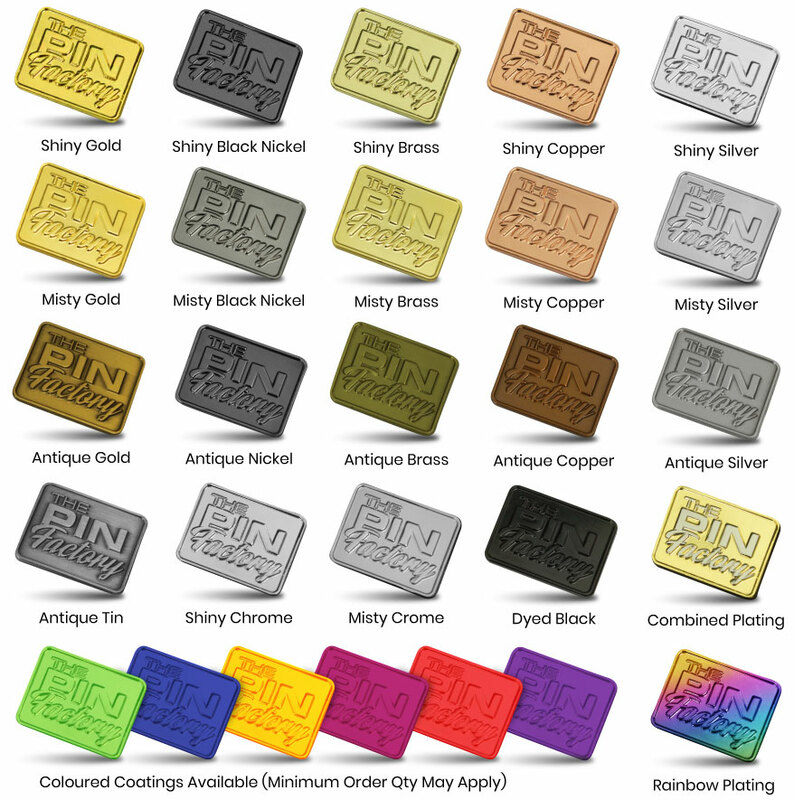 These badges have a brilliant smooth finish and a slightly raised bevel edge. Print colours are vibrant and eye-catching and this style of lapel pins are very affordable making them great for any organisation, colours are matched to the PANTONE standard.